Nothing says true love more than the easy silence of being alone but together and these young couple bookends certainly convey that. 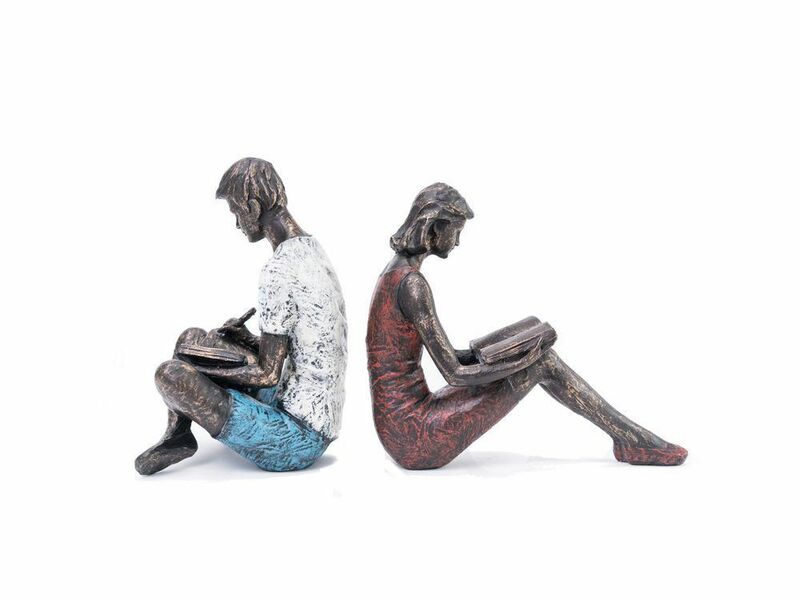 Cast in bronze finish resin with their clothes given subtle washed colours, the couple are engrossed in their novels yet seem to stay connected. A gentle, thoughtful decoration for a shelf, these couple bookends exude a sense of peace and harmony.